Papers: 1880-1924, 17.5 linear feet. 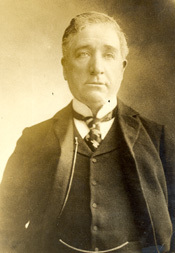 The collection consists of correspondence, addresses and speeches, legal papers, and personal and miscellaneous papers, including scrapbooks, newsclippings and memorabilia, related to Cockrans activities as lawyer, orator, politician, Irish activist, and congressman. Correspondence (1881-1924) concerns his New York City law practice, speaking engagements, social and political issues, Democratic Party politics, international affairs, his activities as a congressman, his involvement in Irish causes and his defense of Thomas J. Mooney, a labor agitator tried for murder in California. Cockrans letterbooks, 1892-1917, include correspondence by his law partner and secretary. Also present are drafts of Cockrans speeches, his legal case files, and personal papers and accounts, including scrapbooks, newsclippings and memorabilia. Papers: 1890-1923, 0.6 cubic foot. Material pertaining to the death of Representative Cockran encompasses sympathy letters to his widow, his will, and those of other family members, agreements, and a list of the contents of his residence. Also printed texts of his addresses about the trial of Thomas J. Mooney whom he defended, and speeches he delivered on other issues. Papers: February 26, 1879. 1 letter. Correspondence between William Bourke Cockran and Henry Charles Lea, 1893. A letter from William Bourke Cockran to the S. S. McClure Company written on October 27, 1899. In the letter, William Cockran writes that he never received Mr. Marshalls letter but is willing to comply with his request.